Martin Lings, who died 10 years ago this year, was one of those sagely figures who would make even the most cold-hearted atheist warm to religion. The prolific author, intellectual and Shakespearian scholar, with an erudite knowledge of Islam and Christianity, was a rare figure. A friend of C.S. Lewis, the author of Muhammad (a book Tony Blair said he would bring on a desert Island) and The Sacred Art of Shakespeare, the forward of which was written by Prince Charles, Lings is, without doubt, one of the most influential and pioneering figures in the Islamic world of the past century. A man of small stature, gentleness and impeccable character, Lings intellectually dwarfed most other Muslims of his time. However, he isn’t the only white, intellectual convert to Islam who has changed the landscape over recent years. Figures such as Shaykh Hamza Yusuf, arguably the best known American convert scholar, Shaykh Abdal Hakim Murad (aka Professor Timothy Winter of Cambridge University), often referred to as the “most influential British Muslim,” the late Gai Eaton, who penned the masterpiece, Islam and the Destiny of Man, and others have played a major role in bringing Westerns to Islam, in particular, Sufism, the inner, mystical dimension of Islam. Lings, born into a Protestant family in Burnage, Manchester, read English at Oxford University where he became a close friend of C.S. Lewis. Upon finding out that Lings had converted from Christianity to Islam in 1938, Lewis remarked “what a loss for Christianity”. 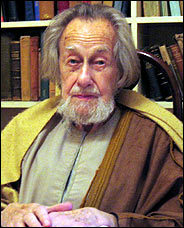 While in Cairo in the 1940s, having just embraced Islam, he became heavily influenced by his teacher Rene Guenon, a French metaphysician and philosopher (and later the German philosopher Frithjof Schuon), two intellectual heavyweights, Sufis and advocates of Perennialism, who believed the same essential truth was contained within all major world religions, and thus, they were all valid paths to God. Indeed, Lings’ writings are imbued with a sense of universalism; he wouldn’t mention one religion for too long before mentioning another, focusing particularly on Islam, Christianity and Hinduism. His teacher, Schuon, is said to have seen many visions of the Virgin Mary throughout his life and he, like Lings, remained deeply committed to Christianity, although professing Islam as their religion. Schuon and Lings often wrote about the esoteric and symbolic nature of religious concepts such as the Divine nature of Christ and the Trinity. It was Ling’s book, The Book of Certainty that inspired Hamza Yusuf in the late 70s to embrace Islam. Ling’s book, Muhammad, according to Yusuf’s father, a Professor of Humanities in the U.S., is one of the greatest biographies in the English language. According to Lings himself (whose Muslim name was Abu Bakr Siraj ad-Din) he felt the presence of the Prophet Muhammad while writing the book. Interestingly, Gai Eaton, while writing Islam and the Destiny of Man, said he felt as if the divine was aiding him write the book. Many western converts have embraced Islam after reading the works of Eaton. Hailed as “a towering patriarch of British Islam” with his death proclaimed as “the end of an era”, he established himself as one of the foremost Muslim intellectuals in the West. 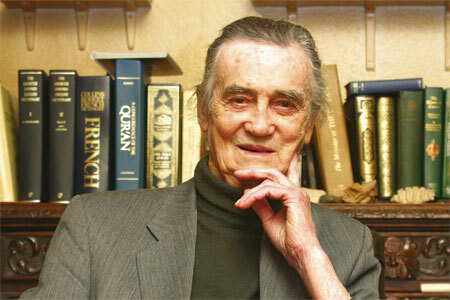 It was at the hands of Martin Lings that Eaton had converted to Islam in 1951 in Cairo. Eaton, once a rebellious youth, was tempered by Islam and, in his latter years, became more and more fervent to his faith. A true gentleman, who spoke in old-fashioned, high-end English, as did Lings, he showed that one can be both proudly British and comfortably Muslim. 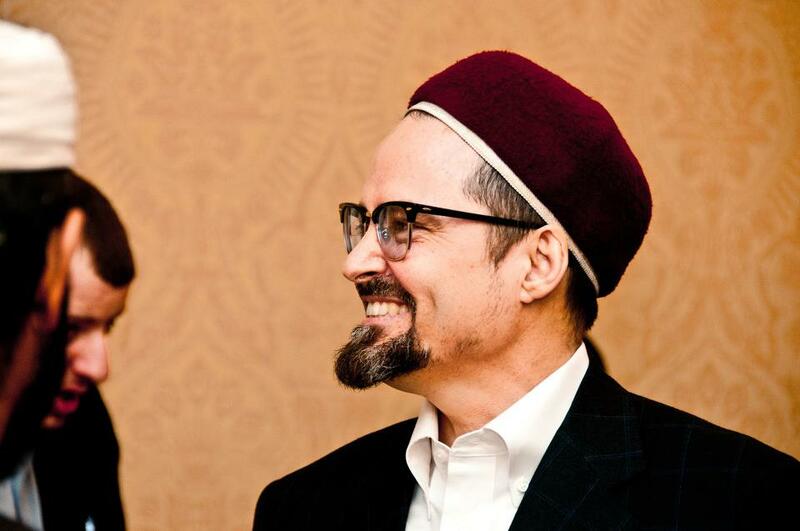 Enter Hamza Yusuf. Born in Washington in 1960, Yusuf was raised in North Carolina into the Greek Orthodox Church. He married into a Mexican-American Catholic family and his wife is also a convert to Islam. Described as the West’s most influential Muslim scholar, Yusuf, who has met Pope Benedict and spoken about his experience with him, is what you might call a celebrity scholar. After giving a talk, he is often besieged by eager fans wanting to meet him. In the 1990s he shot to fame as a young, eloquent and moving speaker, able to grip an audience with his oratory and almost encyclopaedic knowledge, moving seamlessly from the Islamic tradition to modern Western thought, philosophy and sociology. The fiery scholar, with popular talks about the antichrist and the perils of the modern world, quickly became one of the West’s most influential Muslims. After 9/11, Yusuf found himself in a slightly precarious position amidst the rampant Islamophobia. He became a spokesman for Muslims and was even called upon by President Bush – by no means a friend of the Muslim community – to advise the US administration on what to do. 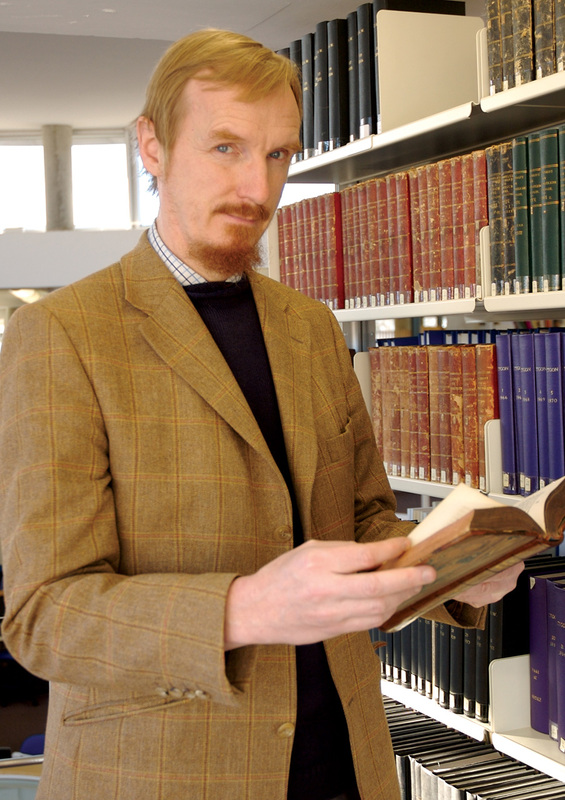 Along with Shaykh Abdal Hakim Murad, a scholar born into a Congregationalist family, they point a thorn in the side of Islamophobes who believe Islam is a dummies religion and has nothing to offer the modern world. Both come out staunchly against extremism, and promote Islam’s merciful, peaceful, inclusive side. With their sharp intellects, erudite knowledge of both religious and secular sciences and having studied in traditional Islamic settings in the Muslim world, they were well received. Murad, however, is an altogether different and most interesting character. Tall, blonde and bookish, he speaks in a sophisticated manner, yet with ease and calmness. Although a lecturer in Islamic Studies at Cambridge University and an internationally respected Muslim scholar, he speaks little when he’s not on a public platform. Murad was one of the original signatories of A Common Word Between Us and You, a letter addressed to Christian leaders in an appeal for peace and cooperation between the two religions. Keen to foster better relation between the faiths, he also met Pope Francis last year during the Catholic-Muslim Forum, the main high-level encounter between leaders of the two faiths. These types of encounters are encouraging and will come as music to the ears to Christians who are concerned about the restrictions, or, in some cases, persecution of their co-religionists by Muslim extremists in places like Iraq and Saudi Arabia. Having met Murad on a few occasions, he has a sense of stillness about him, a characteristic trait he believes is missing in far too many people in today’s world. He talks often about how people are agitated and no longer have a sense of inner contentment. But, of more interest, is his analysis of extremism. With so much negative publicity around converts to Islam, and Islam in general, especially following the recent attacks by ISIS, these figures are a breath of fresh air. They weren’t former prisoners, nor lost, delusional, unemployed youth, or naive, stupid youngsters with no ambition. These are the best of what British and American culture have to offer and they chose, for varying yet essentially similar reasons, to adopt a faith Orientalists ridiculed and the modern world sees as out-dated and inane. 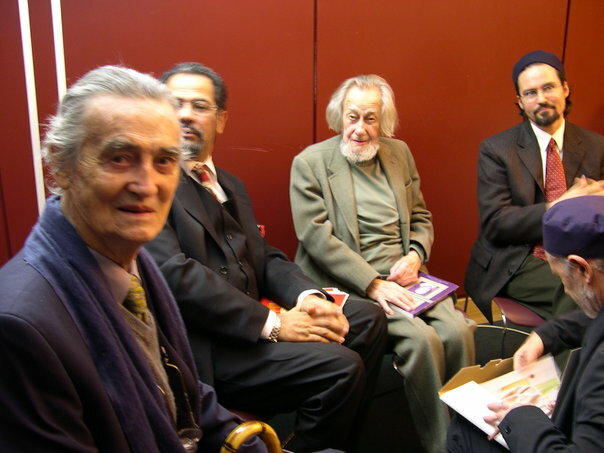 The likes of Lings, Eaton, Yusuf and Murad have shaped the Muslim intellectual tradition in our time and have probably done more to ward off extremism among Islam’s adherents than those born into the faith. The men mentioned above are perhaps four of the most prominent of all the white, Muslim convert scholars. They’ve revived many of the teachings of Islam’s leading mystics, such as Imam al-Ghazali, the 11th century influential Muslim theologian and Sufi, among many others. They provide a riddle for the Islamophobe: white intellectuals embracing the Muslim faith who go on to become profound scholars and reject the lure of modern, secular, atheistic thought. They speak about the faith’s richness, diversity, inclusivity and it’s intellectual and spiritual tradition, a faith at ease with other faiths, who aren’t shy to speak good about Christianity. While they certainly don’t speak for everyone, they have, without a doubt, brought masses of people to Islam with their intellectual honesty and astute analysis of the world we live in today. The frenzied discourse about Muslim converts is made far more nuanced by converts like these. Considering they promote peace not war, reconciliation not division and greater understanding not suspicion, they deserve more attention. Not immersed in the sun of Islam over the country: Britain! Omar, salaam. Thank you for the article and I find it a somewhat balanced one, but lacks several glaring statements that these scholars’ histories would not necessarily hold accurate. In particular, the “white” only arena, why didn’t you include other scholars who are not white? First, your adjectives at times reveal your proclivity to equate “white with right” and that, sir, is definitely not a concept held by a vast number of peoples who are not white around the world. Second, another adjective “best” I would again differ in tone and tenor, but alas, it does depend upon the view of the author–and again not necessarily agreed to by a majority of Muslims around the world. Third, the adjective “inclusive.” I believe you mean “tolerant.” Having read these authors’ articles and books throughout my tenure as a undergraduate and graduate student, I would not hold they have very inclusive views that would meet the needs of our societies today. For example, should one view videos of Imam Hamza Yusuf, his level of “inclusiveness” does not readily “include” women being provided a wide berth of freedoms in and outside of the mosque, nor does he easily support sexual minorities having full voice in the Muslim community because of their perceived “sins.” If you believe that is being inclusive, you have seriously narrowed the breath and depth of what inclusive can mean and fails to include a wide diversity of Muslims, even when excluding extremist and their ideologies. Although your goal to make more “white” people comfortable with the concept of Islam, (you know, people like Pamela Geller, for example), in my humble opinion, you ignore numerous major contemporary scholars of various genders and sexual orientations, who are also “white” or “people of color,” and far more “inclusive” in their views. I believe these newer Islamic scholars speak to the newer generations in ways that are far better in stomping out extremism in the West than those you highlighted. Inevitably, all things “new” do come over time come to pass, and as I and other inclusive and progressive scholars hold, staying stuck to standards that are already fading into the past, awfully fast, does not bode well for contemporary society and its conditions and constraints. Daiyee Abdullah, great comment, and what your saying makea sense. It seems you have, from the passage, inferred a great deal of information that the author had not implied. Infact whilst I was reading your comment , every time you mentioned things like ‘if you believe that is being inclusive’ ..I felt slightly uncomfortable. The author in no way expressed his definition of inclusive, infact he was giving a relative comparison between these new white influential scholars and the narrow minded non white scholars that came before them. Even though I’m not disagreeing with what you say, just hope you don’t mind me giving some food for thought – some articles you read are giving a relative comparison which must be understood and taken in context. Oh wow the gay imam makes a comeback too?! You are nothing in the line of these great men, color be not included too. You’ve read them, so you know these scholars would eschew your views completely.